Doctors use prescription abbreviations (based on Latin words) that tell your pharmacist which medication to give you and directions on how to use that medication. If you learn to understand the medical shorthand used by your doctor, you can read your own prescription immediately after it is written. This will help make sure that you know what medication you are getting and it will give you a chance to ask questions about your doctor's instructions. The more you understand about your prescription, the less likely it is that you will have a medical error. For example, your pharmacist may make a mistake reading your doctor's handwriting. If your doctor's writing is not clear and easily read, your prescription may take longer to fill or you may be given the wrong dose or the wrong directions. As a smart medical consumer, it is a good idea to check your prescription and make sure that it is filled correctly at the pharmacy. If you think there is an error or a discrepancy, you can alert the pharmacist or call your doctor. If you do not understand what your prescription says, do not be shy. Ask your doctor or another healthcare provider in the office for assistance. Your questions may help detect and prevent an error. Ask your doctor to write down on the prescription for what condition your medication is being used; e.g., not just "take once a day" but "take once a day for high cholesterol." When writing a prescription, your doctor may use either the "generic" name of the medication or the "brand name". For example, sertraline is the "generic" name and Zoloft is the "brand name" used to identify a medication frequently prescribed for the treatment of depression. 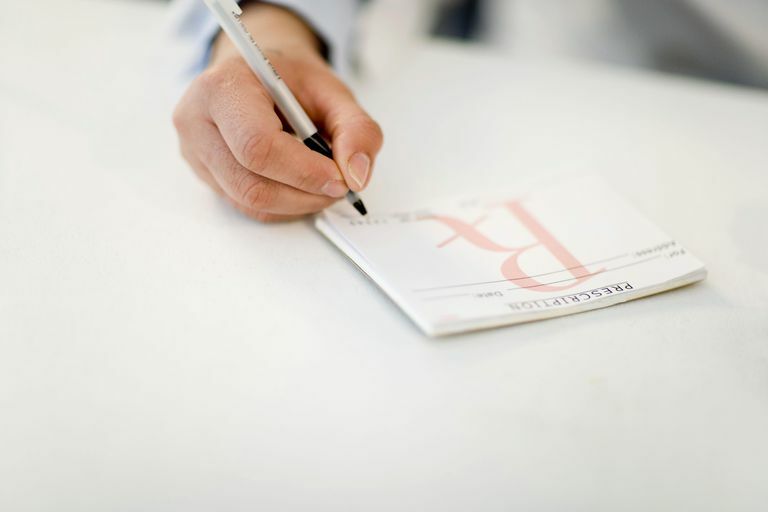 In many states, pharmacists are allowed to dispense a generic medication, even if your doctor writes a prescription for the brand name version of the drug. However, if your doctor writes "DAW" (which means "dispense as written") or initials a box labeled "DAW" on your prescription, the pharmacist cannot legally substitute a generic medication for the brand name one. Your prescription is usually written on a pre-printed pad with your doctor's name, address, and phone number. You may also see, either on the top or bottom of the prescription, special identification numbers, such as your doctor's Drug Enforcement Administration (DEA) number for narcotics or controlled substances. Additionally, your doctor will indicate how much medicine the pharmacist should give you and the number of times that your prescription can be refilled. Your doctor may use different abbreviations or symbols. If you do not understand them, ask your doctor or pharmacist for clarification. Often the abbreviation "sig" will appear just before the directions on the prescription. "Sig" is short for the Latin, signetur, or "let it be labeled." Zocor 10 mg.: This is the name of the medication and the dose. Sig: i po qhs: Your instructions are to take 1 pill, by mouth, at bedtime. Dispense #90: You will be given 90 pills, enough for about 3 months. Refill 0 times:Your doctor has indicated no refills, most likely because she would like to check your blood cholesterol and then decide if you need more medication or a different dose. DAW left blank: Your pharmacist will most likely give you simvastatin, the generic version of Zocor. Glucophage 500 mg.: This is the name of the medication and the dose. Sig: i po bid pc: Your instructions are to take 1 pill, by mouth, twice each day, after meals - this means that you should take this medication right after breakfast and right after dinner. Refill 3 times: Your doctor has indicated 3 refills, enough medication for one year. This may mean that your diabetes is "stable" and well controlled on this medication. DAW left blank:Your pharmacist will most likely give you metformin, the generic version of Glucophage. Diovan 40 mg.: This is the name of the medication and the dose. Sig: i po qd: Your instructions are to take 1 pill, by mouth, once each day - you most likely can take this medication either before or after a meal since your doctor did not say otherwise. Refill 0 times: Your doctor has indicated no refills, most likely because she would like to check your blood pressure and then decide if you need more medication or a different dose. DAW left blank: Your pharmacist will give you Diovan since there is no generic available for this drug. What Are the Benefits and Drawbacks of Buying Drugs Through the Mail? Generic Drugs: Can I Save at Walmart and Other Big-Box Stores? Are Generic Drugs as Safe and Effective as Brand-Name? Is Your Prescription Coverage As Good As Medicare? Do Copays Count Toward Your Health Insurance Deductible?